It’s a beautiful May day in Downtown Petoskey. The bay is a calm, shimmering blue, the sky above, cloudless, while people peruse shops, wander in and out of restaurants, and some enjoy their first ice cream cones of the season. 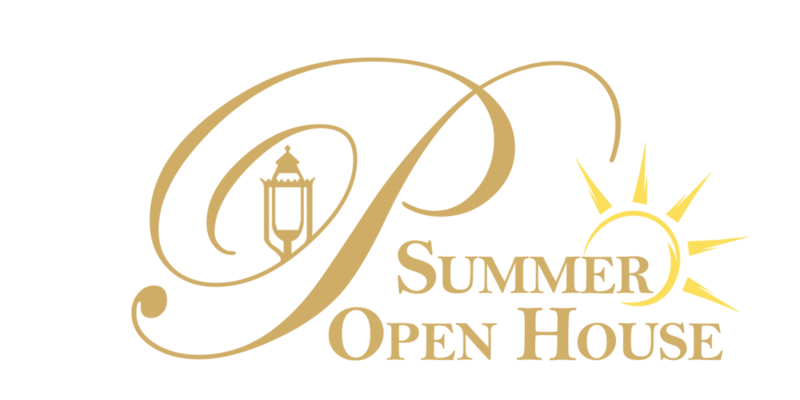 There is active road construction along Bay, Lake and Emmet streets, several new shops along those routes, and all of this precludes the harbinger of summer: Petoskey’s Summer Open House! The roads and intersections will be complete and the new shops well-practiced prior to the entourage of guests arriving for Friday, June 1st. As usual, the streets will be closed-off for all to walk, saunter and enjoy the sights and sounds of downtown. Some of the new arrivals include “The Katydid” on Lake Street. This is part of the Shorter gift shops but is a new twist of curated finds from near and far that celebrate the love of Northern Michigan. The store is named after Jennifer Shorter’s daughter, Kaitlyn. Around the corner and up on Mitchell Street is a new “old” shop, Glick’s. 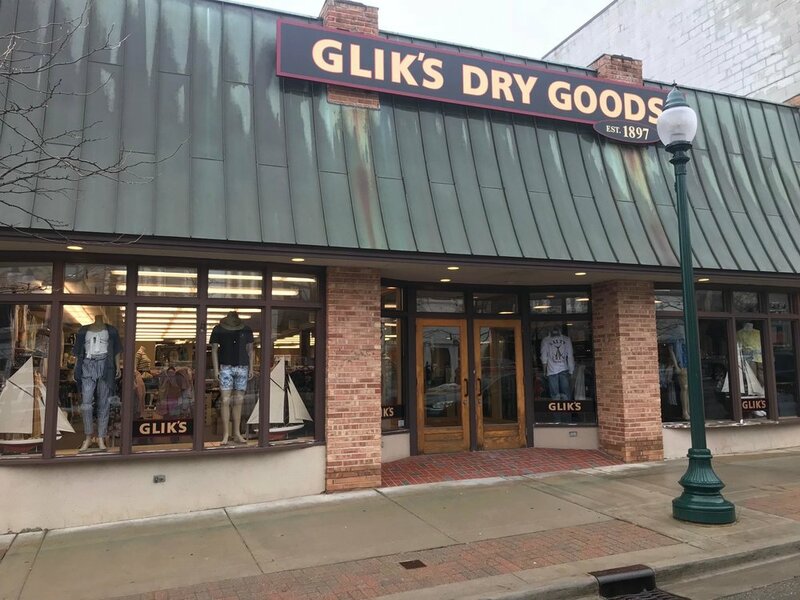 They are returning to their downtown roots and have maintained 65 stores throughout the Midwest and remain one of the top ten oldest family owned businesses in the United States. Store Manager, Trista, can introduce you to their lines of jewelry, apparel, and other assorted goods proudly displayed. Further up East Mitchell you’ll find Katie’s, Petoskey Cheese Shoppe, moved across the street to a larger venue. Grab a seat and enjoy. Over on Howard there are a couple of new entries to the flock sitting right next to each other. High Five Spirits allows you to taste Gypsy Vodka, a home grown original, and some assorted cocktails crafted in the spirit of Jesperson’s - the one-hundred-year-old venue that occupied the building prior to the change. Next door is the Great Lakes Gourmet offering locally made salsas, dips and jams. John and Jennifer Dallos will be awaiting your arrival during the Open House. And speaking of the Open House, arrive with your walking shoes and an appetite, for there will be food and drink galore while you traverse the town, up and down, watching a fashion show at Lake and Howard, listening to the Steel Drum Band, visiting at the drink tent in Pennsylvania Park, watching The Real Ingredients perform and finally settling down to watch the outdoor movie when darkness prevails. Whether you choose to be an active participant or grab a bench and watch the passing scene, come and enjoy the true beginning of summer in Northern Michigan at the Downtown Petoskey Summer Open House. Welcome back!